Home Finance of America has released new data indicating that the percentage of borrowers refinancing to 15 year or shorter term mortgage has increased in 2013. Home Finance of America, Inc., a national leader in online mortgage lending, has just released new data indicating that the percentage of borrowers opting for shorter term mortgages has significantly increased in the beginning of 2013. Home Finance of America’s data has revealed that refinances to 10 and 15 year fixed rate loan terms is up 24% as compared to the same time period in 2012. Short term mortgage rates are currently well under 3% while on average, traditional 30 year fixed rates are approximately one percent higher. Home Finance of America, a leader in low rate mortgage lending since 1993, is currently offering a 15 year fixed rate at 2.625% with an APR of 2.7893%. Shorter mortgage terms are often mistakenly not given careful consideration by many prospective homeowners thinking about refinancing their 30 year fixed rate mortgages. At the current rates, borrowers should determine if they’re comfortable with the monthly payment of a 15 or even a 10 year mortgage. A $200,000 15 year fixed rate mortgage at 2.625% has a monthly payment of only $1,345.38. Despite the possibility of a slight increase in monthly payment the lower rates and shorter amortization period offer substantial interest savings over the life of a mortgage. As a result of their increase in origination volume Home Finance of America is currently offering many of their 15 year fixed rate programs with no closing costs for mortgage rates still well below the industry average. With mortgage rates rising slowly in 2013, experts agree March of 2013 is the best time to refinance in order to not miss out on historically low rates. 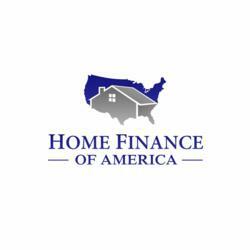 To find out more information about Home Finance of America’s competitive interest rates – visit the company’s website: http://www.HFAmerica.com or call toll free at (800)-358-5626. Licensed loan officers are available to offer no obligation, live assistance seven days a week. Since 1993, Home Finance of America has specialized in originating low rate residential loans to qualified borrowers. They are headquartered just outside of Philadelphia, PA. As a direct mortgage lender, HFA can lock-in low rates at application, and with an A+ rating with the Better Business Bureau; borrowers are assured that their customer service is the best in the mortgage business. Borrowers can apply by phone by calling 1-800-358-5626.